I’m not going to lecture you on the importance of content marketing. You understand that already. 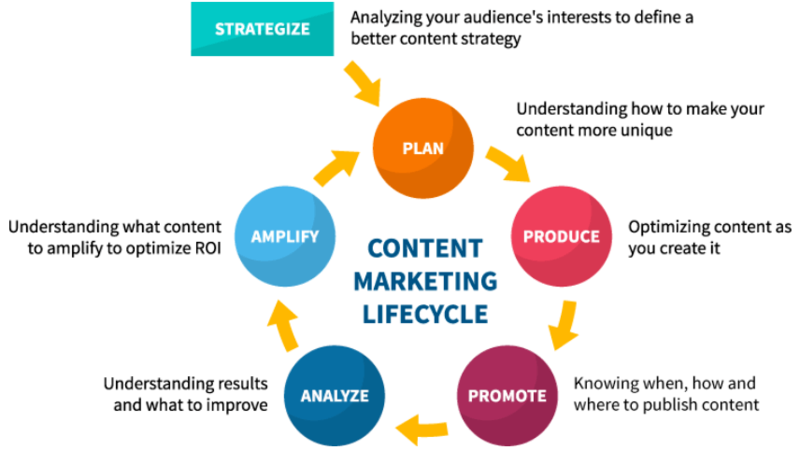 I’m not going to present a bunch of stats that prove content marketing is arguably the only marketing left. And I’m not going to show you how to market your content. But I am going to tell you that if you’re not promoting as much as you’re creating, you’re doing it wrong. In fact, your “promotion to creation” ratio should be 4:1. Think of it this way: Is it easier to create a new article, share it, and get 1,000 sets of eyes on it before it disappears from their feeds and you need to make another one, or to promote the dickens out of one quality piece and get it in front of 10,000 – or more – people? More promotion and less creation makes better use of the finite time you have available. But what’s the best way to go about it? Dollar for dollar, pound for pound, email is your best bet. Reach out, cultivate relationships, and leverage them to supercharge not just your content, but your reputation as a whole. When it comes to audience, bigger is better. Ever looked at someone else’s audience – their email list, social following, or online community – with envy? Imagine sharing with their audience in addition to your own. You can. You need permission, of course, and that’s where cold email outreach comes in. Remember: the bigger their audience (and therefore, the more influence they have), the more people contact them to ask for things. Find a different approach to stand out. Build the relationship, leverage the connection, and you both benefit from increased exposure, backlinks, traffic, and a larger network. I’ll be honest: This takes some time. It’s not the kind of thing you can pull off in a morning after you’ve written something you want to get out that afternoon. But it’s worth it. Identify the influencers in your industry or niche. Who are the major players? Don’t think about promotion. Instead, make a list of who you’d love to connect, engage, and build a relationship with in your niche. Ask yourself: Who are the experts? The success stories? The ones quoted in industry reports and blog posts? Who’s writing the content with the most engagement? A service like BuzzSumo can quickly identify the most shared content for any keyword or URL address. Once you have names, finding email addresses is usually straightforward: Check their website and/or social media accounts. Or, try an email finder like Voila Norbert. Names and addresses at the ready, you’ve got yourself an email list. The goal is just to make the connection. Cultivate. Nurture. Build. Don’t askâ¦yet. Once you’ve established a relationship, the opportunities to help each other start to arrive organically. They’ll be more inclined to say ‘yes’ because they know you. That helps you. And they’ll likely share it because it puts them in a favorable light and they’re invested. That helps them (and you). Even easier: Link to their stuff in your content, or include them, their services, or their content in ‘best of’ or ‘how-to’ roundups. Let them know you did, and they’re sure to share it with their audience. Win-win. Notice that you don’t need to explicitly ask them to share anything. Make them look good and/or increase their traffic and reach, and they’ll do it for you. Cold email outreach for relationship-building is a long game, but it pays dividends down the road. Once you start the ball rolling on building relationships, the opportunities are endless. As you develop more relationships, you can build on this strategy with something a little longer-term, a little more involved, and with a lot bigger value: a curated community of influencers and content-creators in a similar space who can all help each other spread the word about content. Provide more than you ask for so you don’t become a liability. You want to be an asset. Give more than you take, and you will become one. 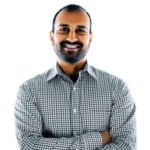 This is a guest post contributed by Sujan Patel, a partner at Ramp Ventures, makers of Mailshake, Pick, VoilaNorbert, and Right Inbox. He has over 14 years of marketing experience and has led the digital marketing strategy for companies like Salesforce, Mint, Intuit and many other Fortune 500 caliber companies. This is a guest column, submitted by invite only. If you would like to be considered for a future guest post, contact us.